MuscleBlaze Raw Whey Protein, if you want whey protein in its pure form without any added sugar or artificial chemical flavors. And top of that it is way cheaper than those flavored versions. Today, Indian bodybuilding market is filled with well known international brand supplements such as ON (Optimum Nutrition), Ultimate Nutrition, Muscletech etc. But of course, there is a lot of adulteration going on to scam people for their hard earned money. So, Indian Brand MuscleBlaze has a lot to prove to grow trust among us Indian Consumers. Which brings us to these burning questions about Muscle Blaze Raw Whey Protein – Is it good or bad? Is it really cheap or expensive? Now, you may have seen or read many opinions on MuscleBlaze Whey Protein from some YouTubers. And same as you, I found out that there is some truth in those and some biased opinions. But we are not discussing those here. As requested by many of you Gym friends and subscribers, to review MuscleBlaze Unflavored Whey Protein. How it is compared to Regular Flavored MuscleBlaze Whey Protein. So finally here we are to Review MuscleBlaze Raw Whey Protein Concentrate 80% – The Unflavored Version. How to improve taste and smell of your Unflavored Whey Protein shake without adding anything heavy? According to label, Its 1 serving of 30g provides 24g of Protein, 1.95g of Fat, 2.10g of Carbs with No Added Sugar. So, its 1 scoop of 30g becomes 122 Calories. In this 24g of Protein, there are 10.8g of EAAs (Essential Amino Acids), 5.2g of BCAAs (Branched Chain Amino Acids) and 4.2g of Glutamic Acid. This is just label information as there is not any specific detailed Lab testing report available for this version. However, there is Lab report on official MuscleBlaze Website for its flavored whey protein with digestive enzymes which says it’s Protein Content is around 80% more or less. MuscleBlaze Raw Whey Protein is Unflavored Protein Powder so it is basically tasteless. Mixing with milk will give the texture of milk. And when mixed with water it will be watery with a hint of milk powder. 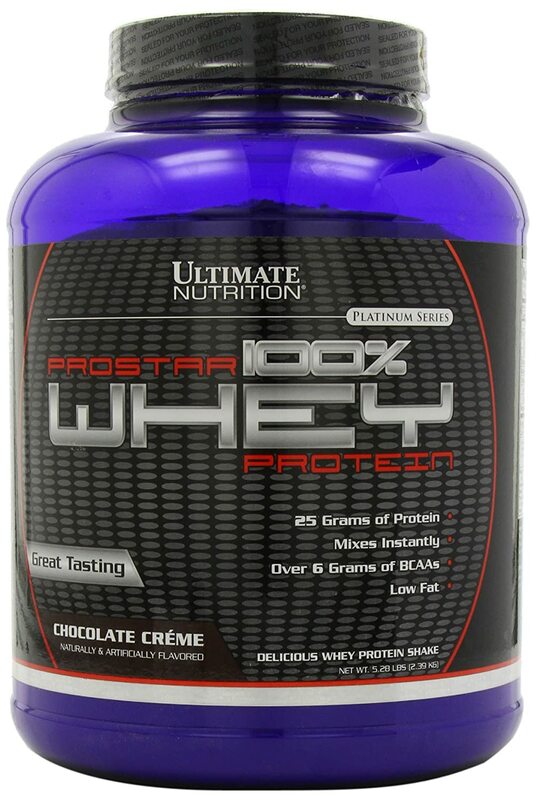 But because of this is an unflavored version, it has a very basic whey smell which is not pleasant. For some people, it can be kind of overwhelming smell which can make you not want to drink it. But people who know that healthy choice does not always come with the luxury of being perfect in everything will find it normal. But you can surely improve the taste and smell of the shake with a few tricks. I will tell you in a minute exactly how to do that….Keep reading to get my personal advice on this. Everyone who drinks protein shake wants easily mixable protein so they don’t have to frustrate with those protein lumps after that intense workout. MuscleBlaze Raw Whey Protein has good mixability in this regard. When mixed with right amount of water or milk it mixes well. It normally takes about 30-45 seconds in a good quality shaker. If you are mixing in a glass it takes 2-3 minutes to completely mix it without any lumps. You can also use blender to quickly make the shake as well. In terms of effectiveness, It’s good. It does what it is supposed to do. It provides you enough fast acting protein to counter that intense workout. And it gives you the required protein boost for the next 2-hour post-workout window. However, you should not expect huge gains from it. Those gains completely depend on your overall consistent full day diet. I am taking it for over a month now, and I have not encountered any weakness or major soreness the next day after workout. A little soreness is expected when introducing new exercises or taking resistance to next level. If you are not feeling a tiny bit sore next day, you are not pushing yourself enough. So, as long as you taking an overall protein rich diet throughout the day, you are good to go. As we require from Whey Protein to digest fast, it digest pretty quickly. In about an hour or so, you start to feel hungry again for the next meal. However, as you know it does not have any added digestive enzymes in it. Want to know how to digest it more efficiently to benefit most and without any problems? I will tell you in a minute….Keep reading for my personal advice…. 1. Gas: Ask any Gym trainer or google it, we all encounter that gas problem from protein-rich diet. Whey Protein is not any different. It surely causes some gas. Not a big problem though. Unless, you have added sugar into the shake or still have sugar in your system. And if you have intolerance to that mixture (Whey Protein + Sugar), you may face stomach churning gas pains for some time. It generally remains for the hour or so. 2. Itchy Throat: In some people Whey Protein causes itchy feeling on tongue and back of the throat. Same goes for it. Nothing serious though, this itchy feeling only lasts for 10-15 minutes after drinking it. As you know this is an Indian Brand, authenticity is guaranteed as long as you buy it from MuscleBlaze on Amazon or its official partners. It comes in well-packaged Jar with a tight outer seal on the lid. And the second high-quality seal on the opening of the Jar which you have to cut it to open. There is no way remove it from the edge and glue back. And on top of this inside seal is your unique authentication code. This code can be authenticated via SMS or on official MuscleBlaze Website to confirm its authenticity like in the image below. 1 full scoop of MuscleBlaze Raw Whey Protein contains exactly 30g of protein powder. Other than that you can also scan the barcode on the side of the Jar and google the result. You will find the batch number listed easily. So, In my opinion there is not much chance of adulteration. As this is an base Unflavored version, there is not extra processing involved. Now, as we all know MuscleBlaze is an Indian Brand and you may have your doubts about its protein content and purity. Well, I had those same doubts as well. As there is not proper detailed certification like the Labdoor reports. So for the sake of argument, even if we consider its Protein content around 60-70%, we still can get around 18-21g Protein in 1 scoop. I know…it is not ideal but still above average for the given price. Which is way cheaper than regular flavored proteins. So it all comes down to effectiveness if this helps you with your DOMS (Delayed Onset Muscle Soreness) also known as the pain and stiffness in the muscles you feel next day after the workout. As long as you don’t feel soreness or weakness much the next day with a good workout, it is working! Note: you may be pretty sore next day if you introduce new exercises in your workout. There is nothing that can save you from those first 2-3 times. So that’s the ultimate test. And that’s all really matters to see if it suits your body or not. a) In the morning: When your body really need these essential amino acids to stop breaking muscles for energy. But remember to drink your required water which is the first thing to do in the morning. b) Post-workout: After that intense workout, you need a complete fast acting protein shake to boost protein synthesis. But remember, DO NOT DRINK it right after you drop last set weights. Wait at least 30 minutes to let your body and blood cool down. Give your body proper time to turn off its Fight or Flight mode. So it can process the protein shake optimally. c) Pre-workout: You can take it as a pre-workout drink in the water as well if you think you are not getting enough protein via diet or you missed a meal…happens to all of us some time. But take at least 1 hour before the workout so the body doesn’t have to digest it during that intense workout otherwise it will be just wasted without proper digestion. The key to mix efficiently is to mix the powder with right amount of water/milk and temperature. If you mix with too hot or too cold it will surely create lumps. Any protein powder will have this problem. I personally mix it first with 100ml water (at room temperature) for a minute. Then add rest of the 100ml chilled milk/water. This way, It allows you to have the perfectly mixed shake without any floating lumps or foams. I personally don’t recommend blender unless you want to add fruits in it. Actually, blender adds a lot of air in the shake and that air causes problems in your stomach like gas, bloating. If you don’t include sugar in your drinks then you won’t have to worry about the tasteless shake. I myself don’t add sugar in any of my drinks i.e. Tea, Coffee, Milk, not even in fruit shakes. So, if you can enjoy sugarless drinks you will drink it easily aside from that basic whey smell. A. Add 2-4 pods of Elaichi (Cardamoms), make fine powder so it mixes well. Or you can Buy Elaichi Powder to remove all the fuss. Just add 1/2-1tsp as per taste requirement. Elaichi (Cardamom) easily takes over the whey smell and give you an awesome taste of Elaichi shake. B. Add 1/2 -1tsp of Cinnamon Powder (Dalchini). It also works great to improve the taste without adding anything heavy or sweet. It also boosts our metabolism…so that’s a great benefit as well. Making fine cinnamon powder is a big hassle so Buy Cinnamon Powder Instead. C. You can also buy Hershey’s Cocoa Powder and add it to the shake as you like. It’s one of the best quality cocoa powder available online. D. Add good coffee blend. Another great fat burner. I personally add BRU Gold when I need to keep my focus intact after workout. Shake just tastes like cold coffee with milk. I personally use these recipes to improve my unflavored shakes taste better without much hassle. E. You can also add Fruits like Banana, Mangoes etc. to make richer tasting shake. Note: adding fruits adds natural sugar into your shake. You may or may not face gas issues. That’s the beauty of Unflavored Whey Protein, you can take your shake as you like it. No need to drink that same old boring flavor again. And you do not need to worry about any bad tasting batch next time you order. Which often happens with flavored proteins. Every now and then there will be some flavor up & down which makes you doubt about the authenticity of the Jar. With Unflavored Whey Protein, you can make your own flavor in your kitchen easily. And the main thing is that you know what you have added into it. Nothing like added artificial flavors where we don’t have any idea what’s in it. As you know, MuscleBlaze Raw Whey Protein does not contain any digestive enzymes. And we all want to get maximum benefits from our protein shake without wasting it due to poor digestion…..you agree with me right? And that’s why some people think it is not good for our digestion or it stresses our kidneys and digestion system. But there is a great solution for this. And it’s very cost effective than buying a flavored version with enzymes. To solve this issue, you can buy Aristozyme Syrup. It is very easily available at your nearest medical shop and online as well around just Rs. 70. It contains Diastase Enzyme (for digesting carbs) and Pepsin Enzyme (for digesting protein). This works exactly the same as added digestive enzymes in the flavored versions. And one more thing, if you are worried about Aristozyme’s taste, just relax. It comes in Pineapple flavor and is pretty sweet. So, no worries about changing the flavor of your shake. You can mix it in your shake or take right after it as you like. Note: If you have any kind of medical condition or you are taking any prescribed medicine, consult your doctor first before taking it. Same goes for Whey Protein as well. I personally recommend to buy from Amazon listed by MuscleBlaze itself. This assures you to get authentic product without any worries of duplicate and adulterated product. And in the case of any issue, you have the great support of Amazon. So, in my evaluation, MuscleBlaze Unflavored Whey Protein or Raw Whey Protein scored 7.5/10 which is a fairly Good score. And this means you can definitely go for it. If you are not comfortable with spending your hard earned money on a risk of getting duplicate international brands Protein Jars. So, if you want Pure Whey Protein without added sugar or artificial flavors & sweeteners, want to make your own flavor, your own protein bars, you can Buy this MuscleBlaze Raw Whey Protein easily without any problem. So that’s it guys, I hope this review answers your questions and clears any doubts you may have about buying it! Have you tried it? What’s your experience with it? Have any doubt or suggestion for improving taste?…Leave a comment below to discuss it with me. Om, you can see on the Aristozyme pack it says 5ml is good for 30g of protein/60g carb. so you can see with 1 scoop 5ml is more than enough. Great post Pushpendra very informative and exhaustive!!! Thanks Imran! Glad to see you found it helpful. Bad food combinations: what a terrible mistake! Glycemic Index Chart: How to use GI index effectively?